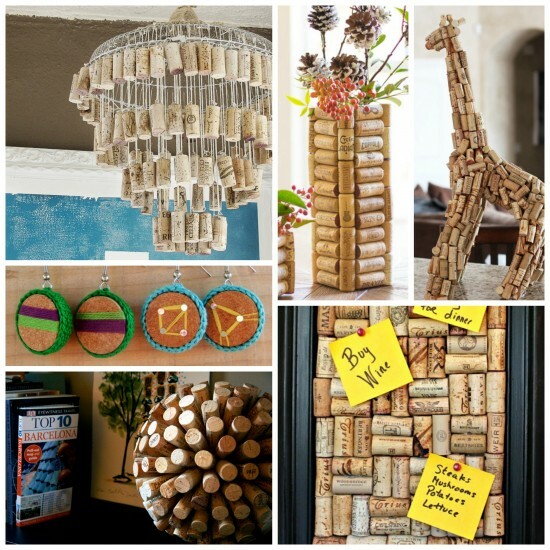 If you have a few wine corks lying around, these DIY Wine Cork Crafts are for you! 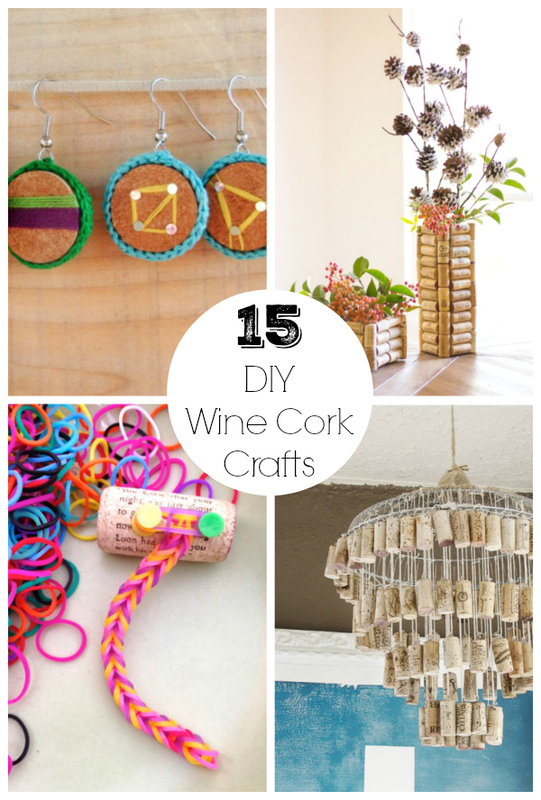 There’s just something about wine corks that makes them perfect for crafting. Go ahead, grab that bottle of corks you’ve been saving and get started on one of these fun projects! 1. Cork Stamped Flowers: Wine corks are an idea material for stamping. 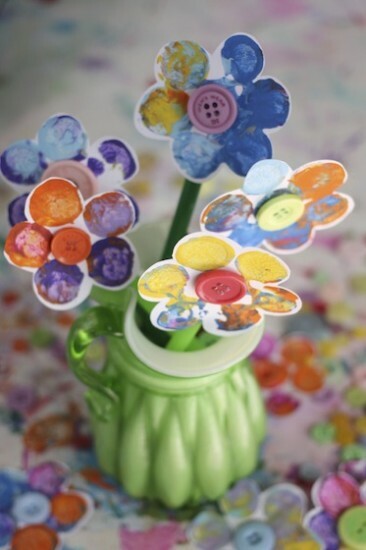 Add a little pastel paint and you’ve got a gorgeous spring bouquet that won’t wilt! Find the tutorial over at Happy Hooligans. 2. 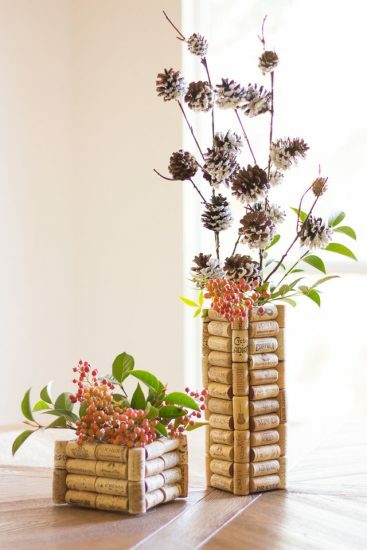 Wine Cork Vases: A wine cork vase is such an elegant touch to add to your decor. Find the tutorial over at Design Improvised. 3. 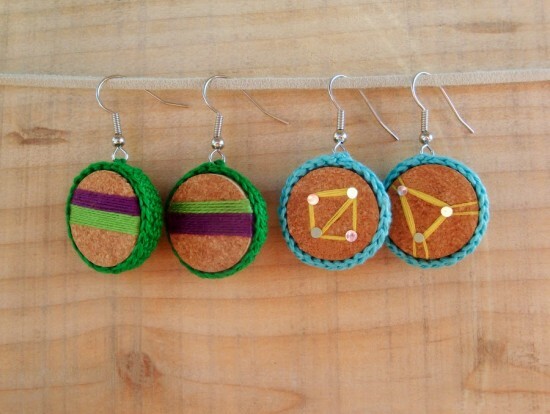 Handmade Wine Cork Earrings: The contrast of thread and cork makes for such an adorable earring! Find the tutorial over at Infinity Blend. 4. 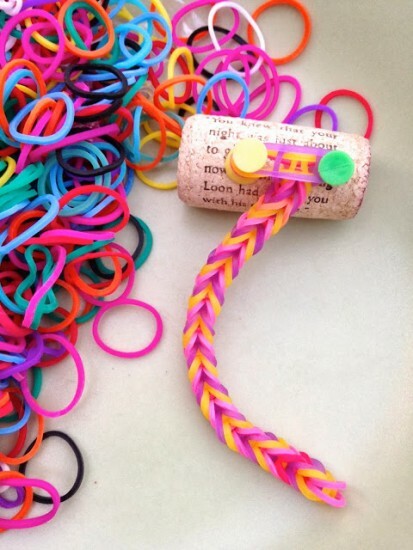 DIY Wine Cork Rainbow Loom: You can make your very own rainbow loom with a wine cork. Cute! Find the tutorial over at maya* made. 5. 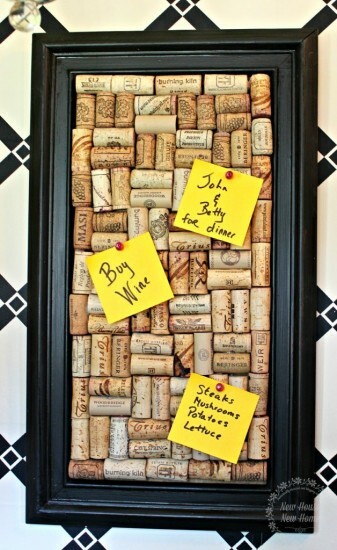 Cork Memo Board: Not only would this look great in the kitchen, it’d be a great place to post those grocery and to-do lists! Find the tutorial over at New House New Home. 6. 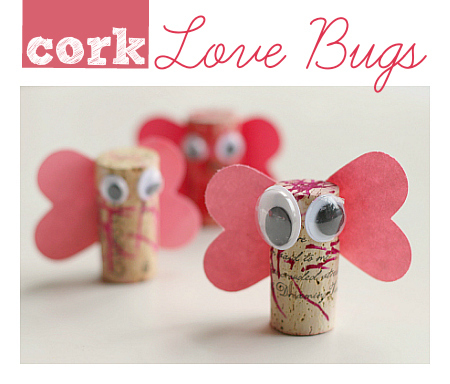 Cork Love Bugs: Wine cork crafts are fun for kids, too! Aren’t these little love bugs adorable? Find the tutorial over at No Time For Flash Cards. 7. 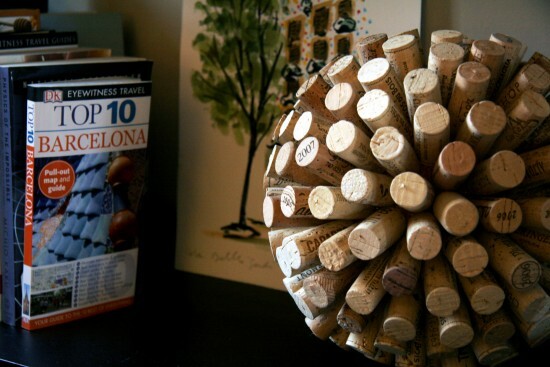 Decorative Cork Balls: This 3 dimensional wine cork sphere would be a classy touch in a library or living room. Find the tutorial over at all put together. 8. Wine Cork Sculpture: Want a one of a kind piece for your home? 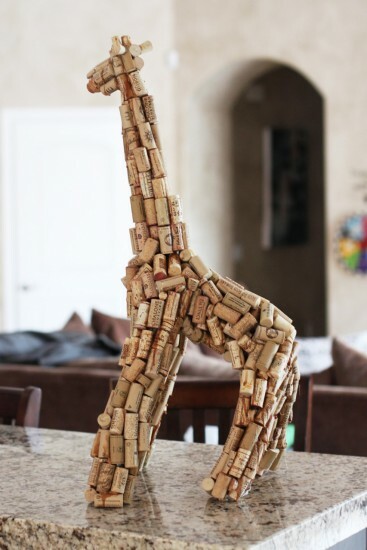 Try making your favorite animal out of wine corks! Find the tutorial over at Lil Blue Boo. 9. 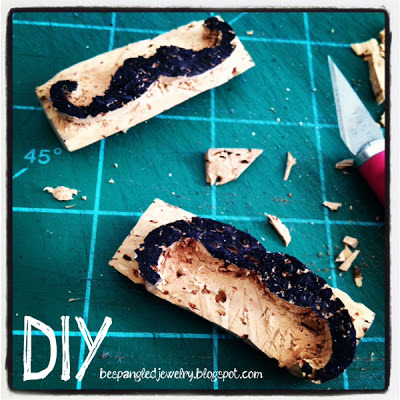 DIY Wine Cork Mustache Stamp: Wine corks are easy to carve, which makes them a perfect material for stamp making. Find the tutorial over at Bespangled Jewelry. 10. 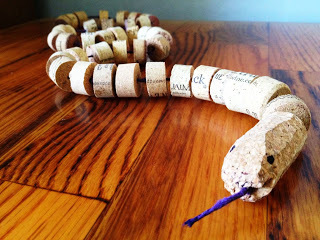 Wine Cork Snake: Every kid needs a slithery snake toy. This one’s made from wine corks! Find the tutorial over at Good Luck With That. 11. 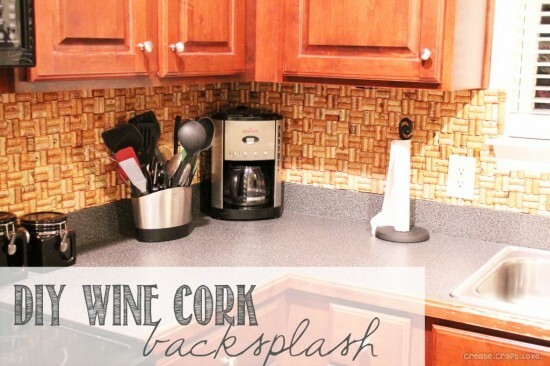 Wine Cork Backsplash: It might take a while to save up all the corks needed for this backsplash, but the gorgeous results can be enjoyed for years to come! Find the tutorial over at Create Craft Love. 12. 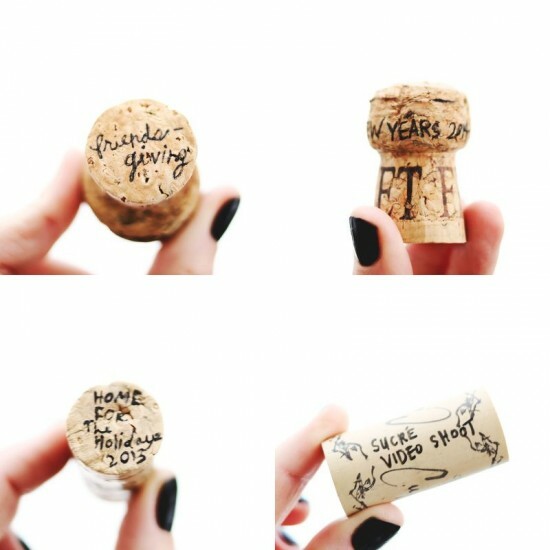 Wine Cork Memories: This is such a pretty way to store memories! Each wine cork holds memory from a special moment in time. Find the tutorial over at A Beautiful Mess. 13. 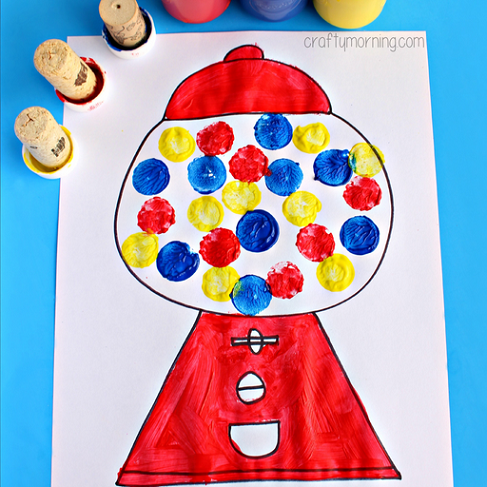 Gumball Machine Wine Cork Craft: The round end of a wine cork is just perfect for stamping a gumball craft! Find the tutorial over at Crafty Morning. 14. 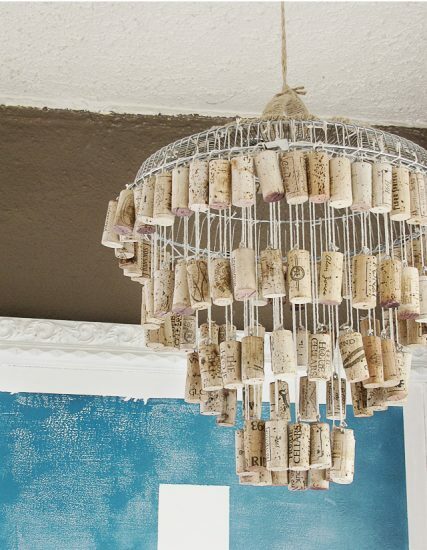 DIY Wine Cork Chandelier: A one of a kind wine cork chandelier just might be the perfect touch for your dining room or entryway. Find the tutorial over at Mox & Fodder. 15. 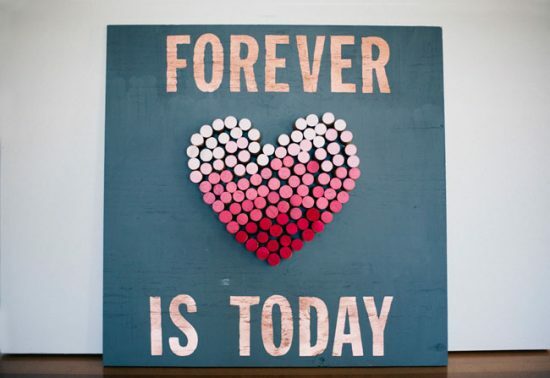 Ombre Cork Heart: An ombre painted design looks awesome on wine corks. You could make a heart, or choose any shape you prefer! Find the tutorial over at Green Wedding Shoes. If you haven’t already been saving your wine corks, now’s the time to start! The real question is- which project will you try first?